A while ago I decided that every new stamp that I receive, I immediately make a card or other project using the image. Sometimes I can make a card for a challenge, but there are those that I make just so I can use the image. This card is one of those cards. It fits well with the Lili of the Valley Challenge # 95 Animal Antics. I coloured the cats with my own furry friends. 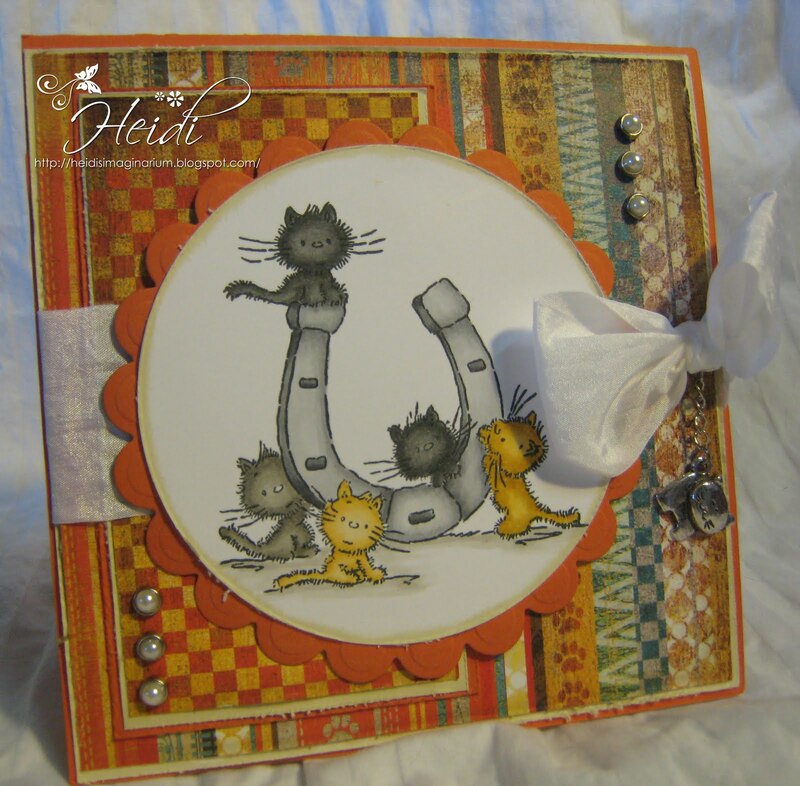 Accessories: May Arts White Silk Ribbon, Pearl Brads from Hobby House UK, Cat charm from Stamp and Create, Circle and Scallop Circle Nestabilities. Gorgeous card Heidi, beautifully coloured and pretty papers. Thanks for taking part in the LOTV Challenge!